How Do Facebook Ads Work for Small Business? "I think every business tries Facebook ads, fails at it and then blames the platform," says digital marketing expert Neil Patel. You're not alone if a minute or two in Power Editor leaves your head spinning and wondering, "Wait... so how do Facebook ads work?!" Don't even know what Power Editor is? Hey, you're in good company. The majority of Facebook users don't (more on that later). In this post, we're going to teach you why Facebook ads work for small business when you follow a simple, proven strategy. Facebook's ad targeting enables you to drill down to any audience. With more than 2 billion monthly active users, every consumer market imaginable is on Facebook. The Social Network is simply too big to ignore - yet that's exactly what so many small businesses are doing. If you're ignoring opportunity through paid Facebook ads, chances are you've been burned in the past - and we get it, a lot of advertisers have been. This is a common problem for many novice advertisers, which stems from the fact that figuring out the basics of Facebook advertising is relatively simple. And while simple is often good, it's not in this case. The ease and simplicity of Facebook's entry-level ad products has created a problem - just about any motivated SMB owner can hop on Facebook and figure out how to boost a post. But using the standard "Boost Post" feature isn't likely to generate significant sales. This results in a lot of amateur Facebook advertisers feeling like they've just burned $5 here and $10 there for... what? a few extra likes and impressions? With $50 spent and nothing to show for it, a lot of small business owners have decided Facebook's the last place they want to spend their limited marketing dollars - but the flaw is in the process, not the platform. So, How Do Facebook Ads Work? This can be done within Facebook's Power Editor, you can customize your audience to include/exclude users based on age, location, relationship status, page affinities (e.g. the user "likes" other pages similar to yours), job title, household income and so much more. Note: Power Editor, if you haven't used it, is where serious advertising happens. Using the 'Boost Post' feature within your Facebook Page only enables you to increase reach among the people who 'Like' your page. Power Editor lets you do much more, including creating custom audiences, advertising on Instagram, and testing different versions of the same ad. This is the hook that earns their trust - it may be a free eBook, course, trial membership, or even a free physical product that you mail. The goal of your Facebook ad is to get the user over to a landing page where you secure their email address in exchange for the free offer. Once your user acts on the free offer, show them a small upsell product. Your profit margin on this minor upsell should ideally be priced to cover the cost of your Facebook ads. Assuming the right conversion rate, the result is free lead acquisition. 4. Sell via email, retargeting, etc. Now that you've earned your lead's trust, it's time to sell them the real product. You can do this via email, phone or any other 'direct' methods now available to you from the free offer, or you can use a Facebook Pixel to retarget the user with ads. The Facebook Pixel is a small snippet of code you embed on your site. When a Facebook user visits that page (in this case it may be the completion page from your free offer), they're now "tracked," allowing you to serve ads specifically created for them. Facebook enables you to retain complete control over your money. As an advertiser, you can define how much you want to spend - you have the option to set a daily budget or limit the budget over the life of the campaign. You can also tell Facebook what you're willing to spend per click. This is a great option for businesses that already know what a lead is worth to them. Within Power Editor, you have the option to test multiple ads, modifying just one component at a time to see which version produces the best ROI. For example, one ad may use a different headline (all else remaining the same), another a different image, another a different call-to-action button, and so on. By serving these variations to the same audience pool, you can figure out which ad generates the best results. Furthermore, you can test identical ads with different audiences. 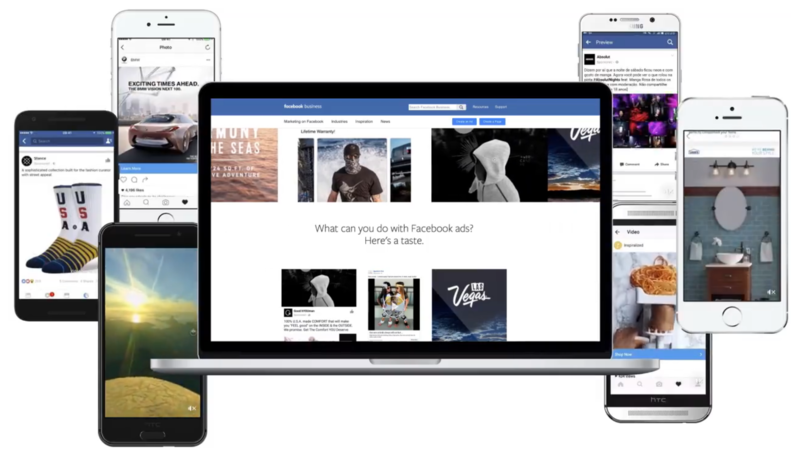 You don't need a giant budget to advertise on Facebook. Once you learn the ins and outs of creating audiences and A/B testing ads, you can improve your accuracy, which results in lower costs per action. Facebook makes a lot of money on amateur advertisers blindly using the 'Boost Post' function. Learning to use Power Editor can result in much more effective use of your Facebook advertising budget. All of these ad types serve a unique purpose, from audience growth to making sales. As you learn more about Facebook advertising, you'll learn how different ads can help you achieve different goals. Ultimately, the success of your Facebook advertising efforts will depend on your commitment to learning Facebook Power Editor and best practices (or partnering with an experienced agency that already has these skills).